The number of holidaymakers on two luxury cruise liners struck down by suspected norovirus outbreaks had almost reached 400 by December 30, according to US health authorities. A total of 194 passengers and 11 crew members aboard the Cunard-owned Queen Mary 2 currently cruising the Caribbean have been taken ill. The Princess Cruises-owned Emerald Princess - with 4,400 people on board - had seen 189 passengers and 31 crew members laid low. The figures were revealed by the US's Centres for Disease Control and Prevention. 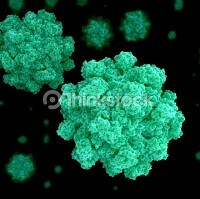 Known as the winter vomiting bug, norovirus is the UK's most common stomach bug. And with the norovirus reportedly claiming its millionth sufferer over the Christmas period with more than 3,500 confirmed cases in England and Wales, the need for the right medical travel insurance has never been clearer for those planning trips away from home. Nausea, vomiting and diarrhoea are the three main symptoms of norovirus and normally appear in a person one to two days after becoming affected. The luxury cruise liner outbreaks might act as an opportune reminder to holidaymakers to arrange the appropriate cruise insurance in the new year. The Queen Mary 2, which has 3,800 people on board, has been undergoing extra cleaning before it is due to arrive in Southampton on 10 January. The liner departed New York on 22 December for a 10-day cruise.